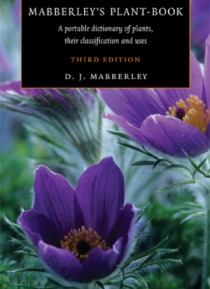 Mabberley's Plant-Book is internationally accepted as an essential reference text for anyone studying, growing or writing about plants. In over 20,000 entries this comprehensive dictionary provides information on every family and genus of seed-bearing plant (including gymnosperms) plus ferns and clubmosses, combining taxonomic details and uses with English and other vernacular names. In this new e… dition each entry has been updated to take into consideration the most recent literature, notably the great advances from molecular analyses, and over 1650 additional new entries (including ecologically and economically important genera of mosses) have been added, ensuring that Mabberley's Plant-Book continues to rank among the most practical and authoritative botanical texts available.